Spine jimping. Full flat-ground blade. 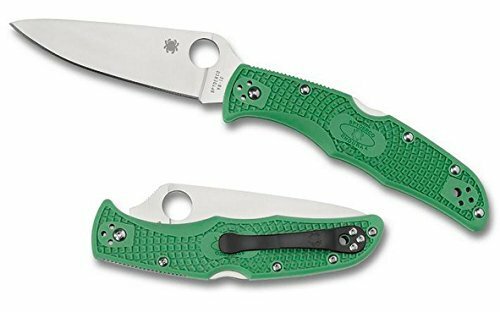 1990 Was the year that Spyderco first introduced the Endura and the Delica which were the first of their kind on the market. 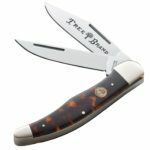 These were not only top quality knives that could be opened one handed, but were also really affordable for the everyday consumer. 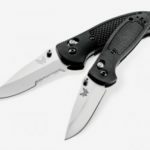 These two blades are one of Spyderco’s best-selling knives and thanks to Spyderco’s C.Q.I (constant quality improvement) philosophy they are constantly getting better. But this post here is going to solely focus on the Endura (I will also review the Delica shortly). Skeletonized steel internal liners. Phosphor bronze washers. David Boye Dent. Enlarged opening hole. 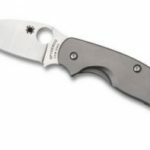 For a blade to a best seller for over 23 years you would have to expect for there to be a fair bit of quality involved on Spyderco’s part, and you’d be right. 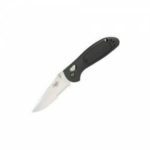 The Endura features solid VG-10 steel which can handle any cutting or slicing task that you put in front of it. The steel has been refined since its first production and is now super strong and really able to take a beating. This means they are great for those who probably don’t take the best care of their knives as even you don’t, the blades still going to be as sharp as ever. The blade on the Endura is actually quite long compared to a lot of others already out there on the market, coming in at 3.75″. This makes it brilliant for handling heavy-duty cutting tasks such as slicing large/thick material whilst still being able to handle smaller and more delicate tasks like preparing food. My only complaint about the VG-10 steel is that it doesn’t really keep an edge as well as I would like it to. Don’t get me wrong, it is sharp as hell and will keep an edge for a long time, however, compared to some of my other blades, I found myself sharpening this one a bit more often. One of my favorite features, if not my favorite, of the Endura, would have to be its handle. 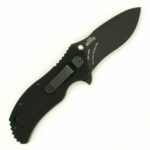 This is an incredibly grippy handle made out of Fiberglass-reinforced nylon which comes with Bi-directional texture. 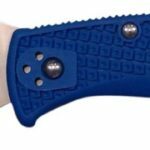 The benefits of this are that it allows you get solid traction when holding the knife making you confident that you are hand is not going to slip or lose control, even when placed under pressure or heavy weight. 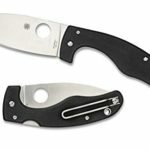 The newer models of the Endura and Delica also feature a screw construction making it far easier to crack open and give the knife a clean or repair (if you ever need to). Overall, the Spyderco Endura really does live up to the hype. I found myself really impressed with this knife as it is super high quality and at the same time isn’t going to cost you an arm and a leg (around $65 if you know where to shop). If you don’t, believe me, head down to your local knife store and get a feel for it yourself. Trust me you will fall in love with it!.